A rare opportunity to combine our seasonal and spiritual themes with an art installation piece created by the LeftBank team. We will take time to enjoy the artwork and consider its themes of the balance between chaos and order, destruction and creation, crucifixion and resurrection in our lives and the life of the city using a variety of thoughtful art processes. We will be learning a range of art processes as a way of exploring the themes in the exhibition and reflecting on their meanings for our lives. Activities available will include collagraph printing, simple letterpress and lightbox poetry. 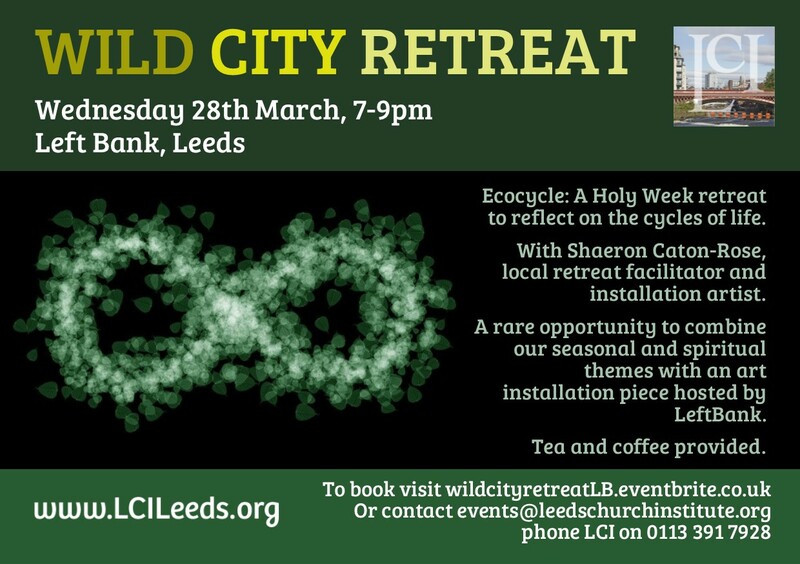 Places are very limited for the Wild City Retreat so please reserve your free place ASAP.